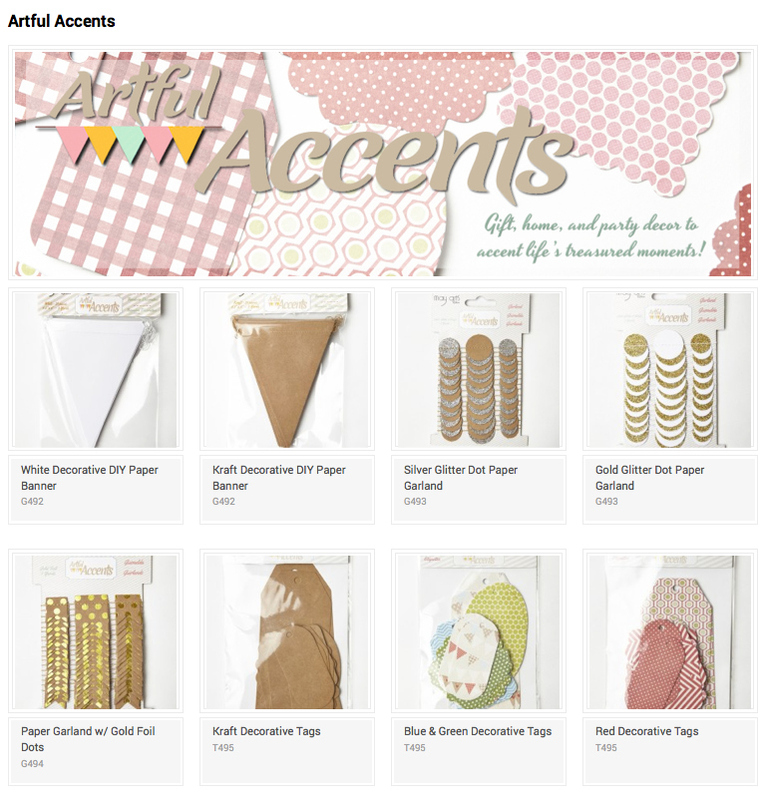 Have you seen May Arts new Artful Accents? They're nothing short of fabulous for crafty creating! The Ribbon Lady challenged us to use them in creative ways and if you know me, you know by now that I love Thrifty Gifting. How's this for dressing up a plain brown bag? 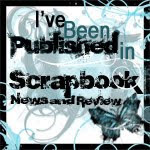 Just grab a glue gun and go! One package did the entire bag... back, front, sides and even a few on the bottom. Just wrap, glue, and done. 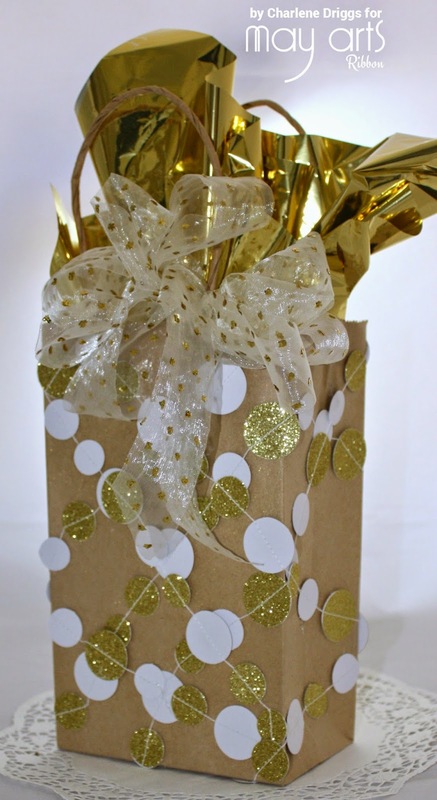 A pretty May Arts Sheer Glitterd Dotted bow, a piece of foil tissue and this plain brown bag is now a glamour girl. 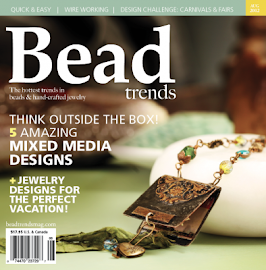 Want to win some Artful Accents of your own? 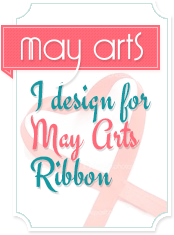 Just leave a comment on the May Arts Blog ..the Ribbon Lady will draw 2 lucky winners! 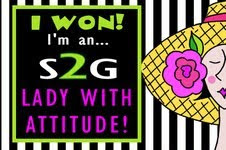 PS...Peggy, I still your snail addy for your Breast Cancer Awareness prize.